For many homeschool families, tasks for wrapping up the school year include writing an annual progress report or compiling a portfolio. The job doesn’t have to be stressful or overwhelming. In fact, it’s often a delightful opportunity to reflect on the complete school year. Why Write a Homeschool Progress Report? A progress report may seem unnecessary for homeschooled students. After all, isn't the point of a progress report to let parents know how their children are doing in school? It's true that, as a homeschooling parent, you don't need a report from your child's teacher to know how he is advancing academically. However, there are some reasons why you might want to complete an annual assessment of your student's progress. Meeting state laws - The homeschooling laws for many states require that parents write an annual progress report or compile a portfolio for each student. Some parents must submit the report or portfolio to a governing body or an educational liaison while others are only required to keep such documents on file. 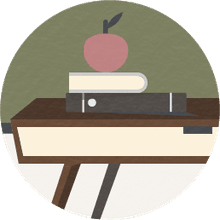 Assessment of progress - Writing a progress report also provides a means for objectively assessing how much your students have learned, experienced, and accomplished over the course of the school year. Comparing these reports year after year can reveal your child’s strengths and weaknesses and help you chart their overall academic development. 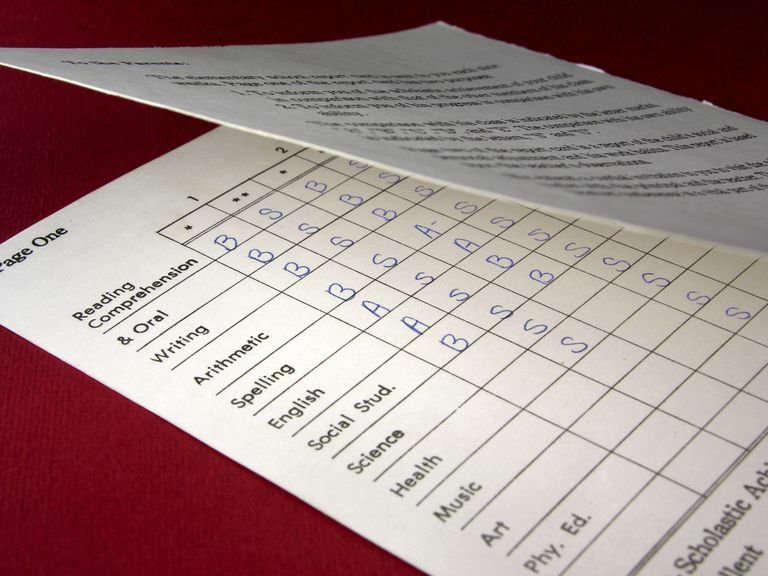 Feedback for the non-teaching parent - Progress reports can provide an interesting snapshot of your homeschool year for the non-teaching parent. Sometimes the teaching parent, who is with the kids every day, doesn’t realize all the moments that the non-teaching parent misses. Feedback for your students - A homeschool progress report can provide valuable feedback for your students, helping them identify areas that need improvement and recognize patterns of strength. Consider having your students complete a self-evaluation to include with the report you write. Providing a keepsake - Finally, detailed homeschool progress reports become cherished keepsakes over the course of your child's school years. Writing a report for your first grader may seem an unnecessary chore, but it is something you’ll read with fondness when he’s about to graduate high school. If you've never written a progress report, you may be unsure what you need to include. Your state's homeschool laws may dictate the components to some degree. Beyond that, a progress report can be as concise or as detailed as you'd like to make it. Basic details - A homeschool progress report should include basic, factual information about your student, regardless of whether or not you are required to submit it to anyone. You will likely enjoy looking back over these reports as your student gets older, so be sure to include details such as his age and grade level, along with a photo. Resource list - Include a resource list for your school year. This list may include the titles and authors of your homeschool curriculum, websites, and online classes. You may also want to add a course description for the classes your student completed. List the titles of books your children read and family read-alouds. Include outside classes such as co-op, driver’s education, or music. List any nationally standardized tests your students completed along with their scores. Activities - List your student’s extracurricular activities, such as sports, clubs, or scouting. Note any awards or recognition received. Log volunteer hours, community service, and part-time jobs held. List any field trips taken. Work samples - You may wish to include work samples such as essays, projects, and artwork. Include photos of hands-on projects that your students completed. You can include completed tests, but don't use those exclusively. Tests don't show the full spectrum of your student's education. Even though you and your student may want to forget the areas of struggle, keeping samples that capture them can help you see progress in the coming years. Grades and attendance - If your state requires a certain number of school days or hours, you will want to include that in your report. If you give formal grades, even satisfactory or needs improvement, add those to your progress report. One method of writing a progress report is to use the scope and sequence of your homeschool materials to help you outline the skills and concepts your child has started or mastered. A scope and sequence is a list of all the concepts, skills, and topics that the curriculum covers and the order in which they are introduced. You can find this list in most homeschool curricula. If yours doesn't include it, check the table of contents’ main subheadings for ideas on what to include in your child's progress report. You may want to include a code after each, such as A (achieved), IP (in progress), and I (introduced). In addition to your homeschool curriculum’s scope and sequence, a typical course of study reference may help you to consider all the concepts your student has covered over the year and help you identify those he may need to work on next year. A narrative progress report is another option. It is a bit more personal and written in a more conversational style. These can be written as a journal entry snapshot, indicating what your children have learned each year. With a narrative progress report you, as the homeschool teacher, can highlight a student’s progress, include observations about areas of strength and weakness, and record details about your child’s developmental progress. You can also add notes about any academic struggles you’ve observed and areas on which you’d like to focus in the upcoming year. Whichever method you choose, writing a progress report doesn’t have to be tedious. It’s an opportunity to reflect on all that you and your homeschooled students have accomplished during the year and begin to focus on the promise of the upcoming year. How Do You Begin Homeschooling Your Children in North Carolina?